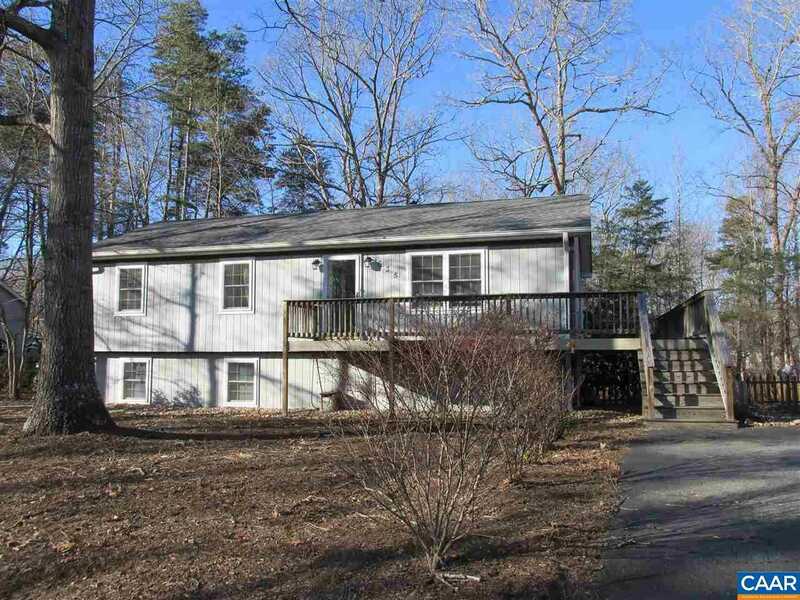 Roy Wheeler Realty Co. MLS# 585350 - 635 Jefferson Dr, Palmyra, VA 22963 - Roy Wheeler Realty Co.
Come to the Lake and enjoy all the amenities using one of the beaches, pool, or boating. An activity for everyone. Relax or entertain on the massive deck or the cover patio. The backyard is fenced so there is an area for all if you enjoy the outdoors. Three bedrooms and full bath on the main level and family room and full bath in basement are just some of the features in this home. Directions: From the main gate at Lake Monticello, take right at T on Jefferson Drive, home on right.